Bulletproof Vests come in different sizes and styles. You can wear them concealed under your shirt for a covert mission and there are ones that are bulkier and thicker designed for more dangerous missions. There are two basic types of bulletproof vests namely, hard armor and soft armor. The National Institute of Justice or NIJ has set the standards for these ballistic vests. They are rated according to the level of protection that they offer to the user. Level II-A is the lowest approved standard rating whereas Level III and IV are considered the ones which can offer the highest level of protection. Along with the NIJ, the standards set forth by the United Kingdom’s Home Office Scientific Development are also widely accepted across different regions and countries. Over the past years, the use of bulletproof vests and other body armors are almost only exclusive for the military officers and law enforcers. But it has recently come to light that, more and more private citizens are now finding bulletproof vests as worthy investments for protection. Bulletproof vests are not cheap. But I bet your life is priceless too. That’s why you need to make sure you are not overly spending on extra protection that you may not need. It is therefore important to determine the type of risk you will mostly be facing with, before deciding which ballistic vest is best for you. Just as it is important to know which ballistic vest is suitable for the kind of protection you will need, it is also very important to know the rules governing the possession and wearing of bulletproof vests. In the United States, for example, if you have been convicted of a past crime you will be prohibited from wearing or possessing body armors and bulletproof vests. There are also some states in the US that adds sentence or penalty when a crime is committed by someone whilst wearing a bulletproof vest. Thus, wearing a bulletproof vest alone in the act of felony, is already punishable. And, in Connecticut the purchase of bulletproof vests should only be done in person to person method, transactions done over the phone or the internet is strictly banned. Now, are there laws governing bulletproof vests in the Europe? Generally, in the UK there are no strictly imposed rules against purchasing and possessing bulletproof vests and body armors. The selling and import of ballistic vests and armors are allowed. 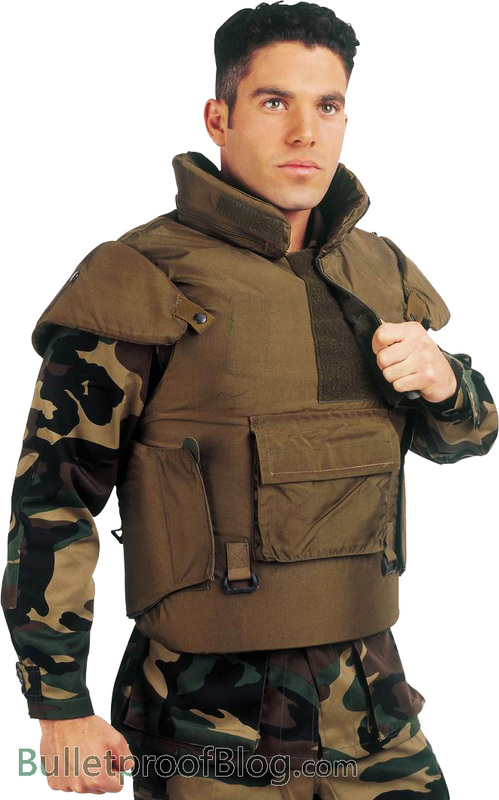 In fact, there are a lot of shops in the Europe that openly sells and market bulletproof vests used and new alike. There are some exceptions though, ballistic protections made under military specs and usage only are banned for the civilians. Those ballistic vests and products developed under strict military specifications and conditions are considered for armament materials only and civilians are forbidden from buying or owning them. These include the body armors and vests that fall into the Level IV protection as identified by the NIJ. Otherwise, importing and selling of bulletproof vests in Europe is quite lenient and liberal.